Dan Martin is an award-winning composer and producer whose music includes scores for theatre, dance and film, club-charting dance tracks, music for meditation and healing, and independent songwriter CDs. Martin’s modern dance scores have been commissioned by Cornell, Rutgers, Temple, and Rowan Universities and his collaborations with choreographers include Edrie Ferdun, Matthew Neenan, Jim Self, Melanie Stewart, and Julia Ritter. Film work includes music for A Circle of Diamonds, Clones in Love,The Dance, and First Comes Love, the animated films Divomenco Pop and Papa’s Prince, and the PBS documentary The Last Run. Martin produced the Original Off-Broadway Cast Recording of Marry Harry in 2017. Other production credits include several club-charting dance recordings in the 1980’s including X-posed, nominated for a 1986 Cable Car Award for Outstanding Club Recording, and Eye on You with disco diva Karen Young. His work producing and mentoring performing-songwriters has resulted in acclaimed recordings by a variety of artists including Grant King’s Bodies of Water and Amy Fix’s Spoon. Meditation music includes many recordings for Hazelden’s Sound Recovery Series, Debi Dunn’s Tranquil Journeys, and Sticks & Stones. As the Founder of OUTmusic, the international network of LGBT musicians (1990-2007), Martin created and administered numerous programs that taught craft and career development to musicians through workshops, seminars, and the annual OUTmusic Awards program. In 1998 Martin created a songwriting workshop – Song Lab – which he taught in New York and Philadelphia. Martin studied music at Dickinson College and at the Philadelphia College of Performing Arts (now University of the Arts) where he majored in Composition. He studied songwriting with Tony Award winning composer Maury Yeston as a longtime member of the BMI/Lehman Engel Advanced Musical Theater Workshop in New York. 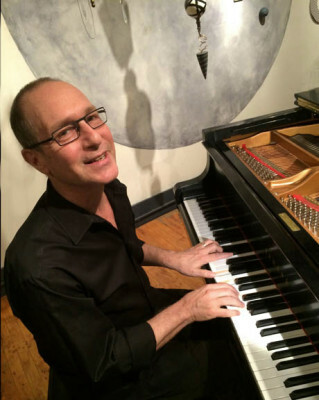 Martin was a participant in the acclaimed New Dramatists Composer/Librettist Studio and he was Composer in Residence at THETA (The Hampton Ensemble for Theater Arts) a summer theater writing and performance program for teens. Music video of Dan & Michael’s song A Circle of Diamonds – Inspired by and featuring marriage activist Edie Windsor. Also starring Broadway actors Jillian Louis and Nicole Van Giesen. A memory piece inspired by Thea Spyer’s proposal to Edie in the 1960’s (when Edie worked at IBM and it still wasn’t safe to come out of the closet). Celebrating the enduring power of love. Music video of Dan rehearsing I Stand Before You for his February Love Songs concert at Biello Martin Studio in 2015. With percussionist Robin Burdulis and cellist Anthony Pirollo. Filmed by Aubrey Hays. Dan’s shirt designed by Raymond Ercoli. Music video for Barbara Proud’s wonderful photo/film project celebrating longterm LGBTQ couples. Here’s a clip of music Dan made for the 2012 short animated film – DIVOMENCO POP – by Liz Goldberg and Raymond Ercoli. It’s a synth/trance meditation on the passion and energy of dancers in the altered state of flamenco bliss! In the mid 1980’s Dan produced (and performed on) dance albums including the club-charting Xposed. Here’s an excerpt from Clones in Love – Michael and Dan’s disco satire of the mid 1980’s gay dating scene. This clip is from Dan’s production of Eye on You featuring the late great disco diva Karen “Hot Shot” Young. Piano music Dan wrote and recorded in 2005 to accompany an outdoor sculpture show – Sticks and Stones: the making of a sculpture garden. Curated by Eileen Tognini at Lis and Mike Kalogris’ fabulous End of the Beginning Garden. The music from this excerpt was written to accompany sculptor Steve Donegan’s beautiful copper Shed. 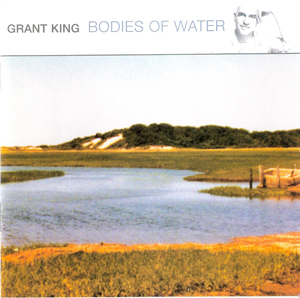 Two clips from Grant King’s 2000 album – produced and arranged by Dan. This one is from the celebratory title cut. A short excerpt from Sassafras Lake – one of Grant’s hauntingly beautiful memory songs about the intensity of growing up gay. Here’s a clip from Grant’s first album – Let Love Out (1994). This cut is Dreaming of Iolo – a memory piece about Grant’s last visit with an old friend. Dan produced and wrote the cello parts – played by the great Tony Pirollo. 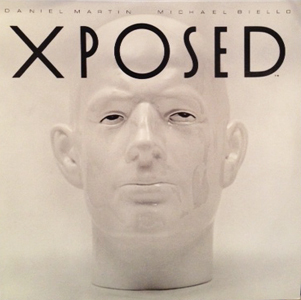 Dan produced and sings the lead on this Biello Martin song that was part of the landmark 1995 CD compilation recording of Gay and Lesbian singer songwriters. A short clip featuring backups by the amazing Lavender Light Gospel Choir. Two songs from Amy Fix’s 2001 album Spoon, produced by Dan. A powerful debut giving voice to Amy’s journey from childhood abuse to self-love. Sam Fenster is the guitarist. Here’s an excerpt from Wings. This is the sweet title song – You Are My Spoon. A short excerpt from the String Trio (violin, viola, cello) Dan wrote for his Mom in 1997 – first performed at a memorial one year after her passing (August 8, 1996). The piece is in 6 short movements – representing the last 6 hours of Phyllis’ life and the shifting emotions and energies in the hospital that afternoon. This clip is from the 5th movement. 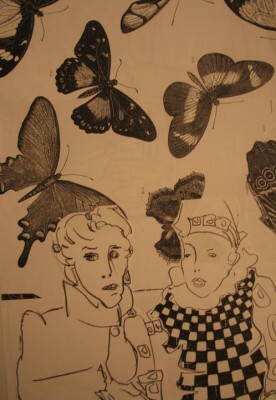 In 2012 Dan produced and wrote vocal arrangements for an intense and beautiful project – the demo CD of Betsy Alexander’s children’s musical I NEVER SAW ANOTHER BUTTERFLY with lyrics by Tony-nominated lyricist Joe Robinette. It’s based on the true story of kids who were imprisoned at the Nazi concentration camp Terezin – and whose poems and drawings survived to tell their stories. The cast includes Jonathan Brody, Philip Deyesso, Kate Lippstreu, Howie Michael Smith, Jordi Wallen, and April Woodall – with musical direction and piano by Jeff Caldwell. Here’s an excerpt from Wedding Psalm.